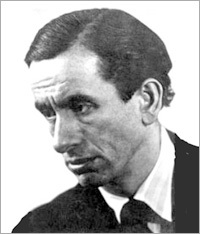 Hans Krása (18991944) played an active role in Prague's multiethnic musical life between the wars. During WWII, Krása was deported to the Terezín concentration camp, where a remarkable musical community flourished among its Jewish prisoners. On 16 October 1944 he was transported to Auschwitz and perished two days later. Krása will perhaps best be remembered for his children's opera Brundibár, performed in Terezín 55 times. The production of this opera, about children triumphant, in a place where the vast majority of children clearly were not, encapsulated the combination of absurdity, moral triumph and horror associated with this time and place. Krása came from a wellsituated family that encouraged his early musical affinity. His father was a Czech lawyer and his mother a German Jew. Several of his teenage compositions were performanced by paid musicians at the spas the family visited in his youth. His primary training in composition was at Prague's German Music Academy under Alexander Zemlinsky. Krása's early aesthetic ideals were guided by Prague's cultural milieu, where, before 1918, the cult of Mahler played an especially important role. Vítĕzslav Novák, sometimes considered the Czech exponent of impressionism, was also a strong force. Krása's works from what can be called his first creative period resulted from these influences. The sudden arrival in Prague of postWorld War I modernisms can also be found, in particular Stravinsky and Les Six, but only in passing. His graduation project, Four Orchestral Songs, settings of Christian Morgenstern's Songs from the Gallows, was performed in Prague under Zemlinsky in May 1921. German critics appraised the work highly, and found his style characterized by aspects of the musical grotesque. But in terms of his antiRomantic stance, as found in his satire of Romantic musical clichés, Krása did not assume the kind of militancy of Hindemith or certain members of Les Six. Instead, the grotesque and the aphoristic nature of certain works from this time show his indebtedness to Mahler. Apart from his Four Orchestral Songs, Krása's first creative period also includes the String Quartet, Op. 2, the Symphony for Small Orchestra, and the Five Songs for Voice and Piano, Op. 4. Krása stopped composing for seven years after completing his Five Songs, a period filled in part by work as a répétiteur at Prague's New German Theater and occasional trips abroad. He followed Zemlinsky to the Berlin Kroll Opera in 1927. Although the support of Zemlinsky brought him conducting offers in Berlin, Paris, and Chicago, he could not bring himself to accept a foreign post and returned to Prague, where he had enjoyed a leisurely lifestyle, just as inclined to play chess and discuss literature as to engage in musical projects. He associated himself with the German intellectuals grouped around the Prager Tagesblatt newspaper and with Czech artists, painters in particular. Notable about Krása's circle was its humanistic attitude towards art that rejected chauvinism and its positive attitude towards the Czechoslovak nation. Krása's second style period dates from the early 1930's. The first work from this time is his psalm cantata for mixed chorus and orchestra Die Erde ist des Herrn, performed in Prague by German musicians in spring 1932. The work shows his new concern for attempting to control the macro whole; it is conceived monumentally, according to the models of certain French composers of the time. In terms of development, the cantata represented progress in the composer's ability to establish stylistic definition. The press, however, received the work unfavorably. Particularly sharp polemics arose over his opera Verlobung im Traum based on Dostoyevsky's Uncle's Dream; its premiere took place at the New German Theater as part of the Maifestspiele on 18 May 1933. The subject of debate concerned the composer's dramaturgical method, which corresponded to Stravinsky in the admixture of disparate stylistic elements in the form of quotation, i.e. the composition of certain portions in the spirit of Rossini, Verdi and the German romantics, and in the alternation of buffo and psychological characterizations. Although this kind of compositional aesthetic was nothing new, it triggered disfavor with many critics. Other critics, however, in particular the German ones, were favorable towards Krása's ability to characterize individual dramatic roles and, in the use of the aforementioned dramaturgical methods, they observed evidence of the composer's stylistically progressive orientation. Later that year, the opera won the Czechoslovakian State Prize. Another work from Krása's second period is his Chamber Music for Harpsichord and 7 Instruments (1936). Representing his growing affinity for Czech musicians, he included the work in a program for a special evening of the Mánes musical group, a conglomeration of Czech modernist composers, where works by composers such as Pavel Bořkovec, Frantiek Barto, Ia Krejčí, and Jaroslav Jeek were performed. Chamber Music fit in well in the program for its neoclassical finish. In the press, however, the work triggered contradictory opinions. Krása's twoact children's opera Brundibár [The BumbleBee], a setting of an Adolf Hoffmeister libretto, was composed in 1938 as a submission to a children's opera competition sponsored by the Czechoslovak Ministry of Education. But no winner was announced nor any prize money awarded, undoubtedly due to the complete occupation of the country by Nazi Germany in March, 1939. In July 1941, rehearsals of the opera began under the conductor Rafael Schächter at Prague's JewishZionist orphanage HaGibor. The opera was performed twice in secret, as Jewish cultural activities were already forbidden by that time. Krása was arrested before hearing the work and deported to Terezín one year later. Several of his collaborators and the child actors involved in the HaGibor production followed shortly thereafter. At Terezín, Krása became the head of musical activities of the camp's socalled Freizeitgestaltung (leisure time activities), established by the Nazis once they realized the propaganda value of cultural activity at their model concentration camp. The camp's precarious conditions and the need for distraction drove musicians to high levels of creativity, forming one of the most vibrant musical schools in occupied Europe. Among them were Karel Reiner, Karel Ančerl, Pavel Haas, Viktor Ullmann, and Gideon Klein. During his 26month internment, Krása composed his String Trio and the Three Songs for Soprano, Clarinet, Viola and Cello, both frequently performed. Rudolf Freudenfeld, the son of HaGibor's director, smuggled the piano reduction of Brundibár into the fortress ghetto. After Krása reorchestrated the work for the available forces, rehearsals began at the socalled Dresden barracks. Constantly interrupting rehearsals were the deportation of the child actors to concentration camps in the east, who were replaced by newly arriving children. After more than two months of rehearsals, the Terezín premiere of Brundibár took place at the Magdeburg barracks on 23 September 1943. On average, the opera was performed once a week until autumn of 1944, by which time the final transports had left the fortress. On 23 June 1944, the Terezín ghetto was selected by the Nazis for the visit of an International Red Cross commission, who came in response to the growing concerns internationally over the treatment of Jews. For the visit, the production of Brundibár was hastily moved to the large Sokol Hall outside the ghetto, where the stage designer František Zelenka was given materials for the improvement of the set and costumes. The embellishment of the production took place overnight. The opera's final scene was later captured in the Nazi propaganda film Theresienstadt, more well known under the deceptive title Der Führer schenkt den Juden eine Stadt [The Führer Gives the Jews a City]. Ironically, the scene included in the film was where Brundibár is defeated; the film never made it to the German screens during the war.